Aurora has been asleep, just waiting for true love’s kiss…but—good news!—just in time for some fun Princess Sleeping Beauty parties, she’s awake and ready to celebrate! The magic, enchantment and excitement of Aurora’s journey from the castle to the forest and back again has dazzled young audiences for decades, making the Princess Sleeping Beauty party theme one of the most popular ever. 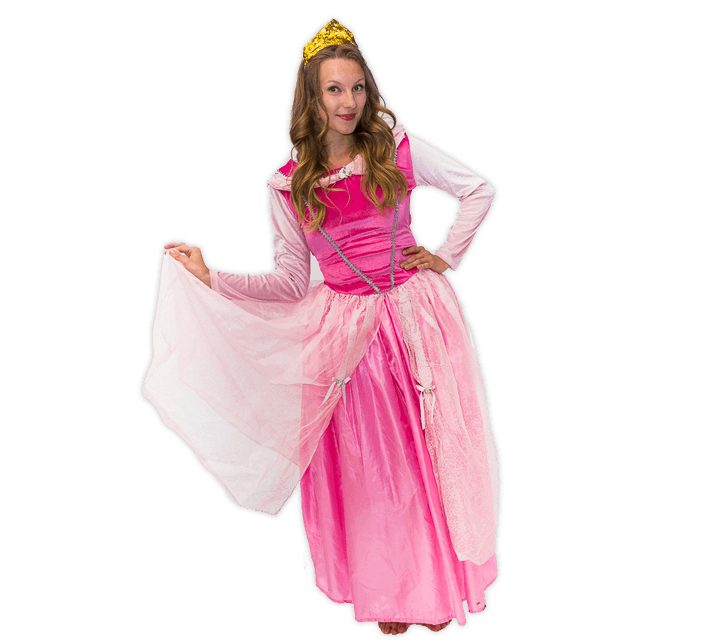 Hire Princess Sleeping Beauty for your child’s princess birthday party and truly elevate your Princess Sleeping Beauty party theme, beyond guests’ wildest expectations. Princess Sleeping Beauty parties feature an exclusive hour-long visit from the once-sleepy princess who, after an unexpected slumber at the hands of the evil Maleficent, has now triumphantly returned to the kingdom along with her betrothed, Prince Phillip. Sleeping Beauty has lots to say about life in the forest—and in the castle!—including plenty of spells from Flora, Fauna and Merryweather, and a few special songs she learned from her chirping animal friends. Inviting Sleeping Beauty to your party ensures the ultimate Princess Sleeping Beauty party theme, and an unmatched celebration your child and her friends will cherish forever. Princess Sleeping Beauty parties are the ultimate in fun, beautiful, fanciful celebrations—and when you hire a Princess Sleeping Beauty for your child’s princess birthday party, you’ll bring this incredible experience to life from the moment she passes through the door. Meet and Greet with your child's favorite Princess!